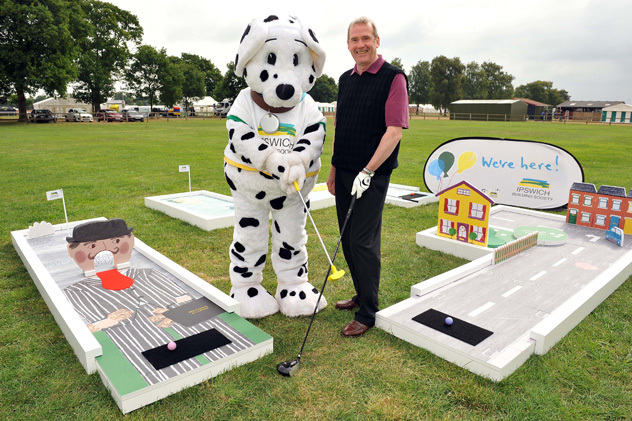 We specialise in the creation of one-off portable minigolf courses, features and obstacles. For corporate functions, marketing events and exhibitions branded courses can be very effective, drawing in potential customers and engaging them with your product or service. Options include: surfaces printed with your logo or corporate message; full-size models of your products doubling as obstacles on the course; customised panels, flags and more. For private events such as parties and weddings tailored courses are ideal. Options include photos of the happy couple printed onto the course and obstacles as well as personalised scorecards as a memento for your guests – and lots more besides. If you want to go “all out”, we could design and make a bespoke course for you, from scratch! Exclusive courses make a big impact and go down especially well at high profile events or for long-term requirements. We have provided this service for clients as varied as Ben & Jerrys, Qatar Petroleum, Ministry Of Defence and Ipswich Building Society. Just tap on the gallery to view some of our work in full screen!